Prime Minister Narendra Modi on Monday dedicated to the nation several projects including two National Highways and an Inland Waterways Terminal on River Ganga at Varanasi in Uttar Pradesh. The total cost of these projects is 2413 crore rupees. Addressing a public meeting at Vazidpur in his parliamentary constituency Varanasi this evening, Mr Modi said that the inauguration of an Inland Multi-Modal Terminal Port constructed on river Ganga at Ramnagar is a major push to India’s Inland Waterways Transportation. 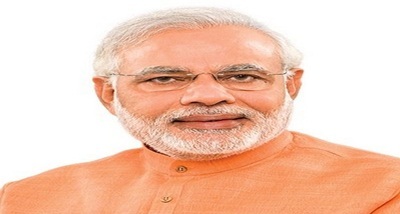 The Prime Minister also received the country's first container cargo transported on inland waterways from Kolkata. He said, this was the first occasion since independence when our waterways are used in such a big scale. Mr Modi said, this was not just a part of goods transportation process but a living example of New India's New Vision. 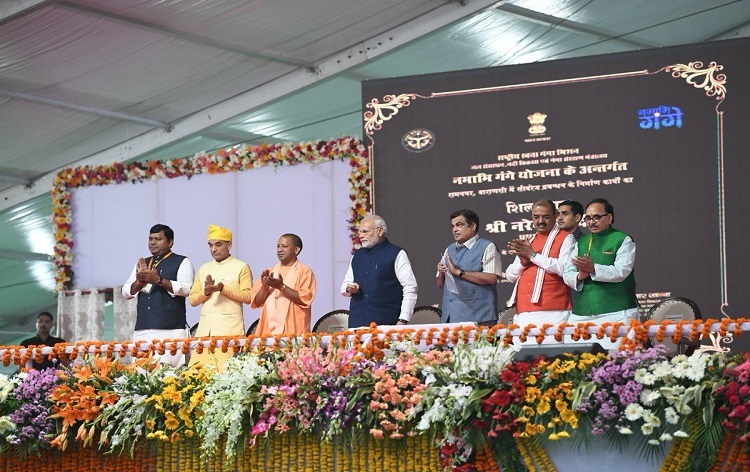 The Prime Minister said, waterways connectivity will help in exporting carpet, and other cottage industry products and agricultural produce of Uttar Pradesh. He said, the Inland Waterways Terminal will help in increasing trade and industry in the state. Mr Modi said, this waterway will link Uttar Pradesh with Bihar and West Bengal by riverine route. Speaking about the two road projects such as Varanasi Ring Road Phase-I and Varanasi Babatpur Airport road, the Prime Minister said, these highways will decongest traffic flow and make Varanasi pollution free. 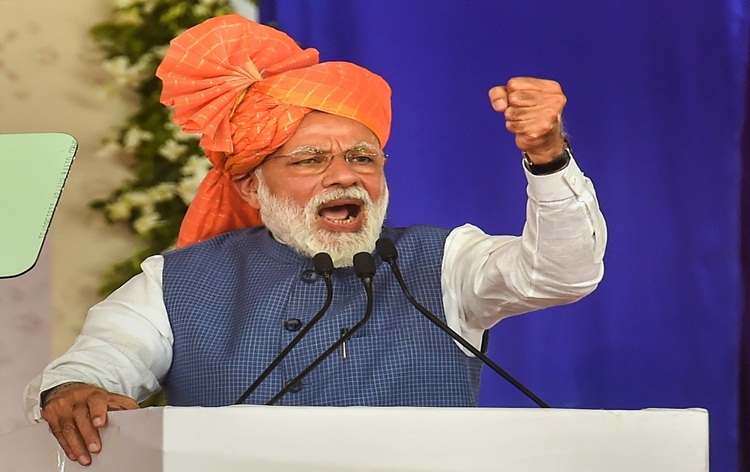 Mr Modi said the Babatpur Airport highway and four-lane ring road will give easy connectivity to Varanasi with Lucknow, Sultanpur, Ayodhya, Jaunpur and several other major cities in the state. The connectivity will help increase tourism industry at Varanasi and Sarnath. 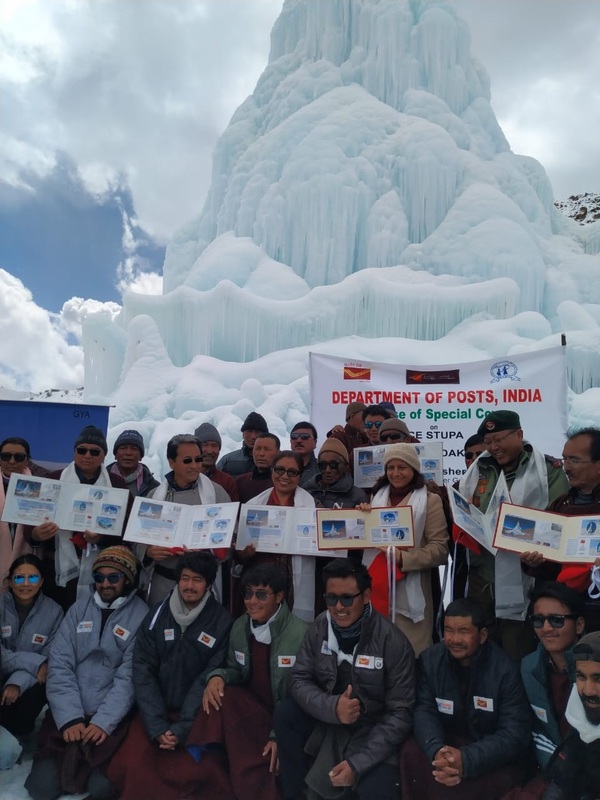 Our correspondent reports that these projects will also provide increased employment opportunities, development of small and medium industries and give a boost to economic development in the area.